Each fountain is internally lit for additional eye appeal. Capacity: 5 gal. 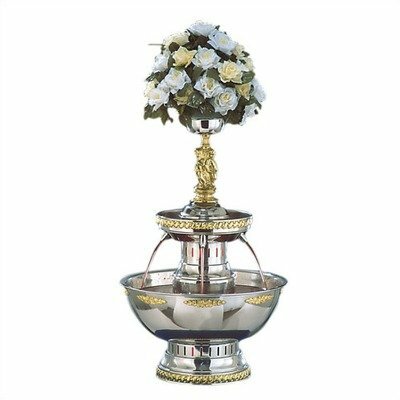 The polished stainless steel construction of this champagne fountains looks great on any banquet table. The fountains top tier can be decorated to reflect the beverage or event theme. Can be used with Champagne or any kind of juice.